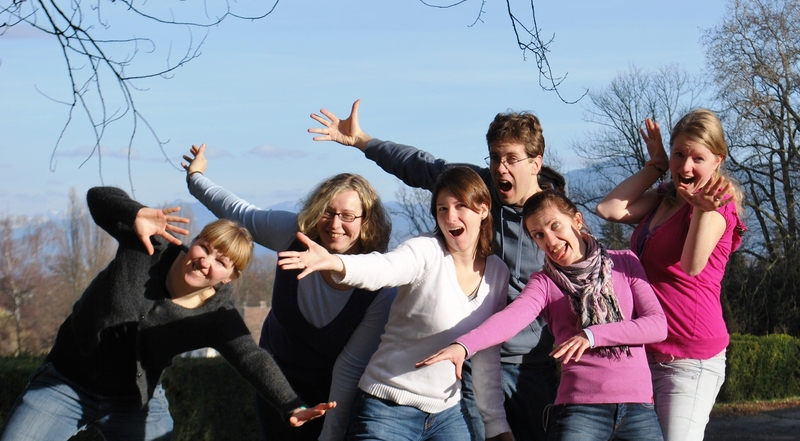 A Step by Step Ecumenical Leadership Training for Young Europeans. From 27th February to 6th March 2011 more than twenty young people from various denominational and national backgrounds gathered in Kandersteg and Geneva, Switzerland for an EYCE training course “Learn. Engage. Lead. A Step by Step Ecumenical Leadership Training for Young Europeans”. The participants got the opportunity to deepen their knowledge of the Ecumenical movement and to broaden their leadership skills and share the experiences on successful leadership from various countries. The training course was organized by the Ecumenical Youth Council in Europe (EYCE) in cooperation with the Youth Desk of the World Council of Churches (WCC). Several guest speakers and workshop leaders contributed to the programme of the training course with their knowledge and expertise. Leadership skills and practical tools were offered to the participants by using a variety of non-formal learning methods. The first part of the training course focused on exploring the concepts of good „leaders“ and „leadership“ from religious perspectives and various cultural backgrounds. Also, an introduction to the Ecumenical movement and intercultural learning was provided. Dr. Andrew Pierce from the Irish School of Ecumenics spoke about the origins and history of the Ecumenical movement and its changes through the last decades. During a panel discussion with Ludmila Hallerova (82 years old, a civil society activist in Czech Republic since her early twenties), Dr. Elke Eisenschmidt (29 years old, member of the Executive Council of the Evangelical Church in Germany, EKD) and Jens Sheeran (29 years old, Operational Director of the Kandersteg International Scout Centre) the participants experienced good examples of leadership and were encouraged and inspired for their future work as young leaders. On Thursday, 03rd March, the group visited the Ecumenical Centre in Geneva. Natasha Klukach and Carla Kihoyan, representing the World Council of Churches (WCC), gave an insight into the current challenges of the Ecumenical movement and working areas of WCC. Nikos Kosmidis, representing the ECHOS youth commission of WCC introduced the work of this commission. A workshop offered by Ralston Deffenbaugh (Assistant General Secretary for International Affairs and Human Rights, Lutheran World Federation) focused on advocacy and lobbying, and therewith marked the beginning of the second part of the training course. Focusing on providing the participants with skills essential for good leadership, the second part of the training course was characterized by interactive workshops and practical training. The programme included training in group dynamics, teambuilding, communication skills, negotiation skills and conflict management, feedback and moderation. Further sessions underlined the importance of the personal development of a leader and focused on self confidence and role models. The participants also received knowledge for use in their practical work through sessions on public relations and project management.